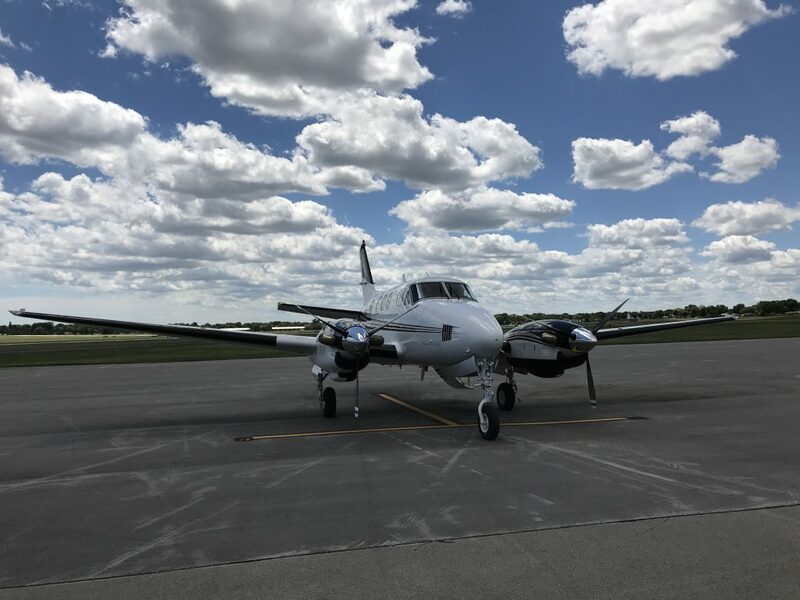 Spring City Aviation provides you with safe, quick and efficient charter flights through Gran-Aire, Inc., our own Charter company (FAA Operating Certificate #AZOA351C). Whether you need a short hop across Lake Michigan for a business meeting, or a multi-leg trip to the East Coast or the Rocky Mountains, we can help. Spring City Aviation is proud to provide you with FAA-Certified Air Charter service. FAA Approved Part 135 operators are authorized to provide non-scheduled, on-demand air transportation for the public. It also means that when compared to the average airplane owner/operator, Charter operators are subject to much more scrutiny and oversight by the FAA when it comes to the safety of operations, the training of pilots and the maintenance of aircraft. Many businesses and individuals utilize private air travel as a tool to increase efficiency, reduce time spent on the road and increase productivity. Below, find some frequently asked questions which will help you learn more about the Air Charter process. A. Many individuals and businesses find charter flights to be much more convenient, efficient, and hassle-free when compared to using the airlines. For example, instead of showing up at the airport as much as 2 hours before your scheduled departure time, you can walk into the airport 10 minutes (or less) before your flight is scheduled to leave! Fly directly to the airport closest to your destination (you won’t be restricted to airports served by the airlines; over 12,000 are available), and you decide when the return flight is scheduled! Overall, Air Charter flying provides the customer with a much greater sense of control and freedom when designing travel plans. Q. My friend/employee/acquaintance owns an airplane. Can’t they fly me where I need to go? A. Maybe, but our Charter service employs highly-experienced, well-trained pilots, strictly-maintained business aircraft, and the support facilities to operate efficiently, quickly, and most importantly, safely. Would you entrust your safety, and those of your colleagues and family, to someone who is not FAA certified to provide Air Charter services? Our charter service is able to maintain an excellent dispatch reliability record and 100% safety record through our dedication to professionalism, maintenance and safety, ensuring that you’ll get to your destination quickly, comfortably and safely. Charter flying is no small undertaking, and entails training, record-keeping and FAA oversight. Individuals offering flights without an FAA Charter (Part 135) certificate may even be operating outside of the law. Q. Isn’t Charter flying expensive? A. That depends. A number of factors will go into deciding whether Charter flying is right for you or your business, and cost can never be ignored. If time is of the essence for your project, meeting, or acquisition, a charter flight might fit the bill perfectly. The greater flexibility and 24/7 scheduling availability of charter can make the difference between a deal made and an opportunity lost. Do you want to be standing in line at the airport with your shoes off while your competition is passing you up? Additionally, economies of scale can be realized using our aircraft which can make charter flights very attractive when compared to airline flying. Each trip is billed based on flight time, not the number of seats filled. A trip with 6 passengers is approximately the same cost as a trip with only 1. It is true that on a dollar-to-dollar basis for many trips, Charter flying may be more expensive than airline travel. But those who have experienced it know that it is an apples-to-oranges comparison. No, we can’t take you to Indianapolis for the cost of a coach airline ticket. But we can get you back in time for dinner with your family. 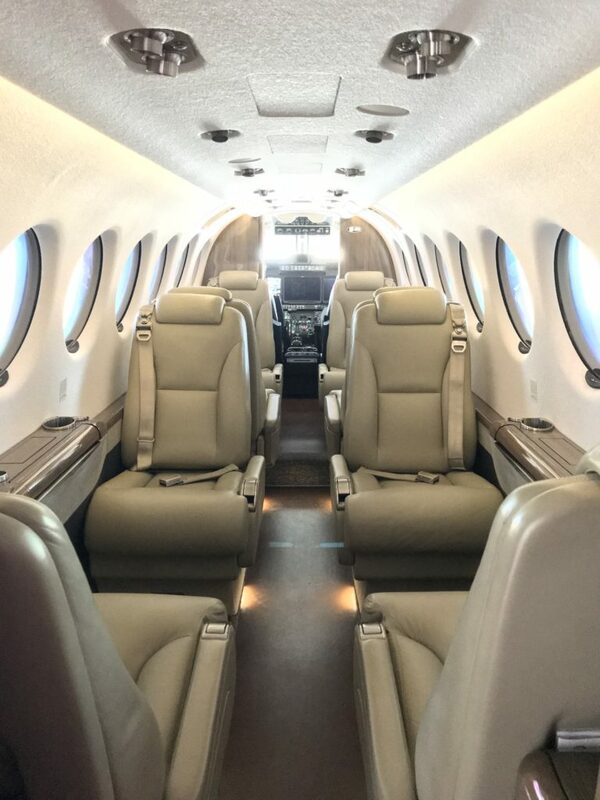 The simple fact is this: the level of service, comfort, efficiency and professionalism you will experience on one of our Charter flights is just not comparable to any airline flight. Q. Aren’t the pilots of these “small” airplanes less experienced than airline pilots? A. Charter flights are captained by highly-experienced pilots, all of whom are subject to minimum hour requirements and undergo rigorous training and 6-month recurrent testing with the FAA. Our charter pilots have superior experience in the more dynamic General Aviation environment than do airline pilots with comparable flight time. Our charter maintains a 100% safety record, and abides by the standards of the National Business Aviation Association (NBAA). All pilots are trained to provide the most comfortable ride possible for their passengers, as well as outstanding customer service. Q. If I fly Charter, am I restricted to smaller airports? A. That’s the beauty of flying Charter; there are no restrictions! While you’ll have the ability to fly into smaller, conveniently located General Aviation airports, our Charter service can also take you into the large international airports served by the airlines (think O’Hare, JFK, MSP, etc. ), at your convenience. Have us bring you to O’Hare for your next International departure, and we’ll have our aircraft waiting to take you back home when you return! Q. What if I want to use Charter for my family vacation or fun trip? A. We’re ready to serve. Some people use our convenient service to fly to their lake cabin in Northern Wisconsin, or for a day trip to scenic Door County. For example, if you’re heading to a Packers game this year, use our Charter service to beat the traffic into (and out of!) Green Bay; enjoy your favorite snacks and beverages on the flight, and we’ll have a car waiting to bring you to the stadium. Others use our service to transport them for a skiing trip or Florida vacation. We’re happy to work with your travel plans and goals to make sure your flight is just as you envision it. Q. When are Charter flights available? A. You can schedule a charter flight to meet your needs at any time. More notice will ensure that we can accommodate your request, but we are typically able to arrange your flight with as little as a few hours’ notice, if needed. If you know when you’d like to fly ahead of time, at least 24 hours advance notification will help us ensure availability for your trip. A. Contact us via phone (414-461-3222) or through this website, and we will be happy to provide you with a no-obligation quote on your next trip. CLICK HERE TO REQUEST A QUOTE FOR YOUR NEXT TRIP.